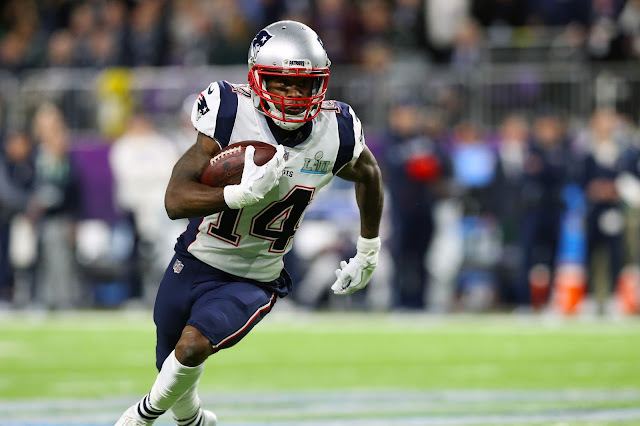 Brandin Cooks calls trade from Patriots to Rams "unfortunate"
Super Bowl week kicked off on Monday night, with the Opening media night. Cooks was traded to the Rams with a fourth round pick in return the Patriots got the 23rd pick in the Draft. After being asked about his trade from the Patriots in the summer, Cooks called the trade "unfortunate." Cooks also talked about his time with the Patriots and the time spent under Belichick and McDaniels. Cooks had 65 catches for 1,082 yards in the regular season with the Patriots last year. He also tallied 80 catches for 1,204 yards this year with the Rams. Cooks was a major contributor with Patriots last year until he was knocked out of the Super Bowl with a concussion. Cooks also provided an incredible threat to defenses for both the Patriots and the Rams in his last few seasons. It'll be interesting to see the scheme that Belichick draws up to control Cooks considering he saw the receiver in practice everyday last season.